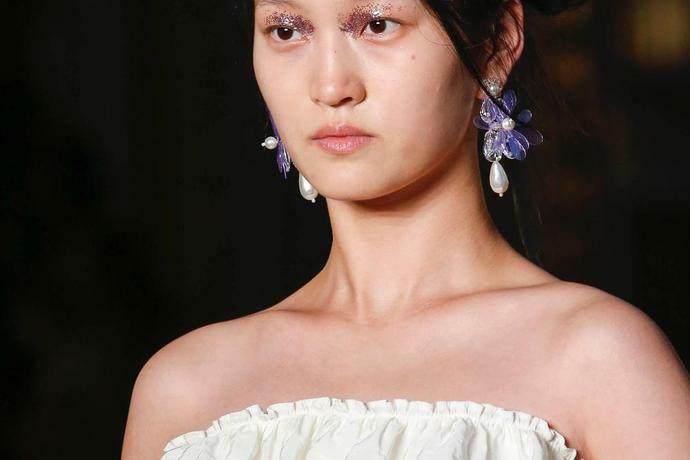 How to glitter and shine in Spring's new baubles. 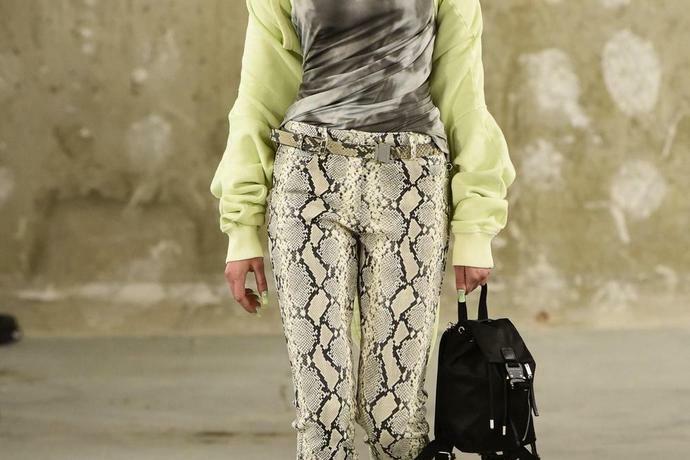 The It bag is increasingly facing stiff competition. 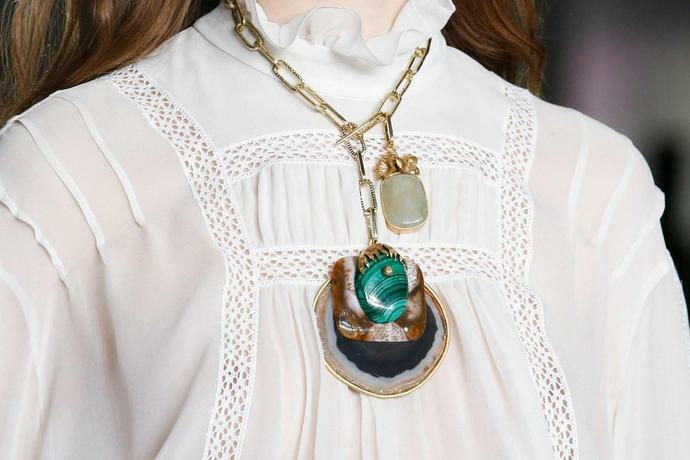 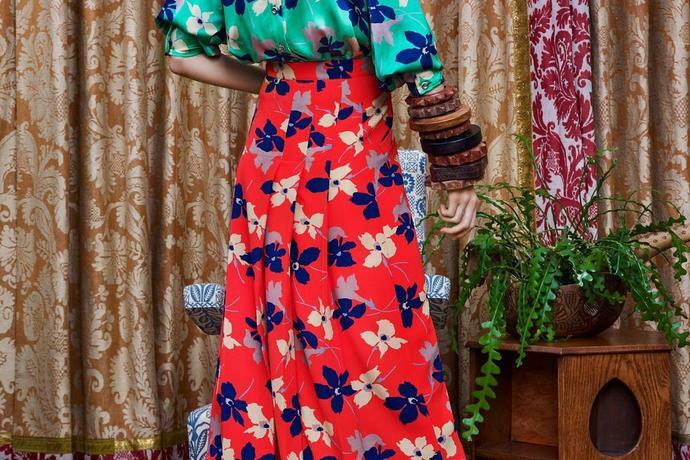 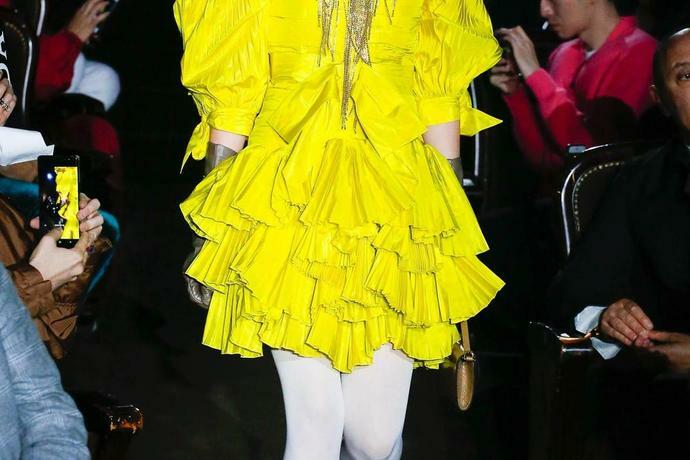 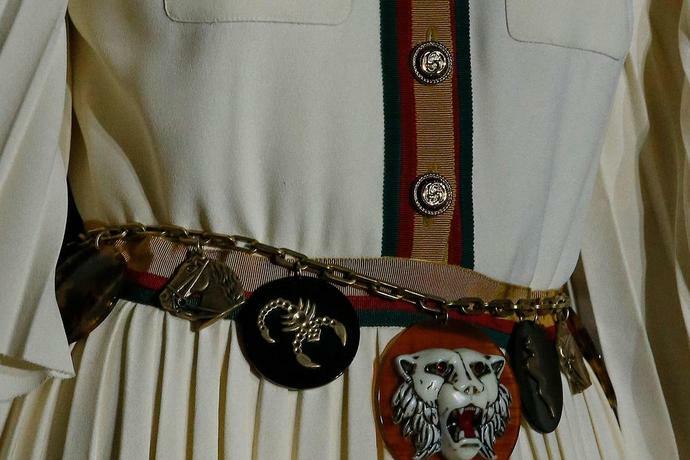 Like Coco Chanel before him, Alessandro Michele's personal penchant for stacking his baubles has really taken hold on the runway and on the street. 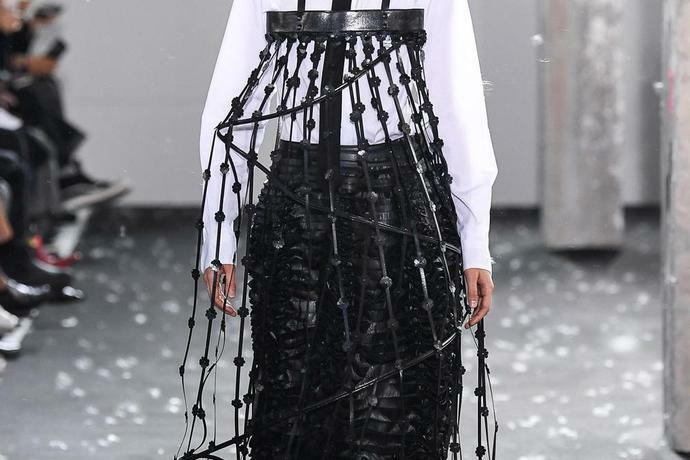 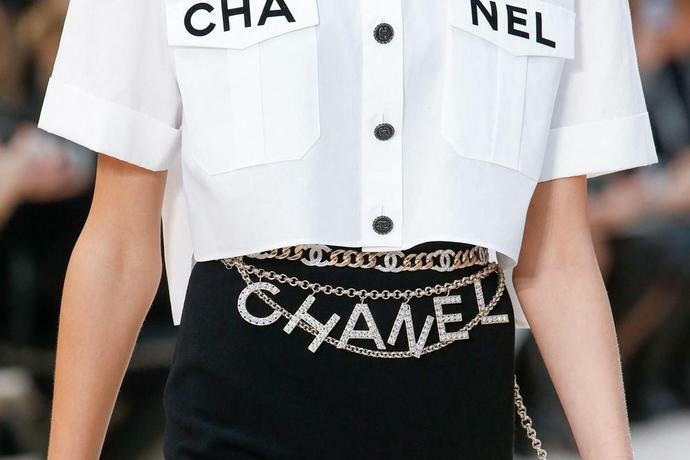 At the house Coco founded, Karl Lagerfeld paid homage to Mademoiselle Chanel's habit of wearing layered, ladylike chains; elsewhere, unconventional mixes produced more arty effects (see Chloé). 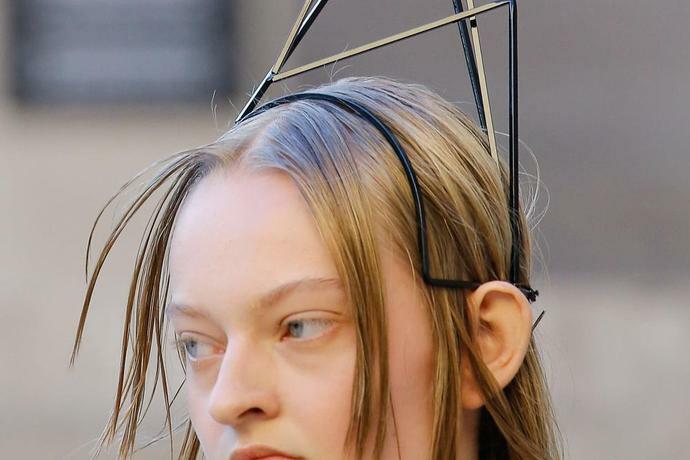 In contrast, new-school tiaras added a bit of festive fun. 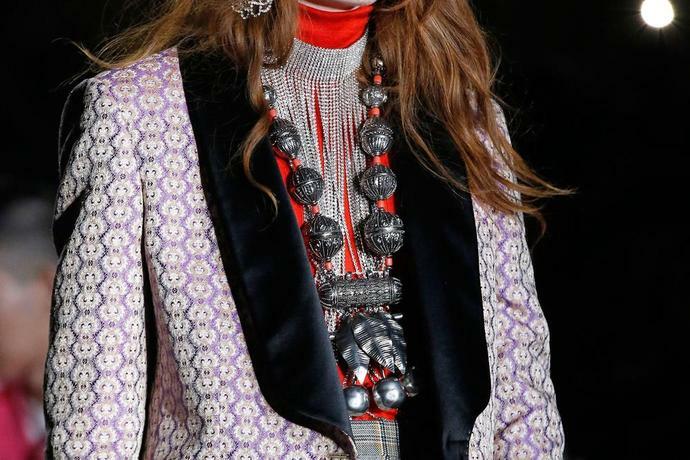 Seasonal must-haves include chokers, trad earring shapes taken to extremes, and a throwback charm belt, but Spring's most expansive trend had designers thinking outside of the (jewelry) box, using necklaces or earrings as structural support for their pieces, or adorning them with gemlike embellishments that eliminate the need for any add-ons. 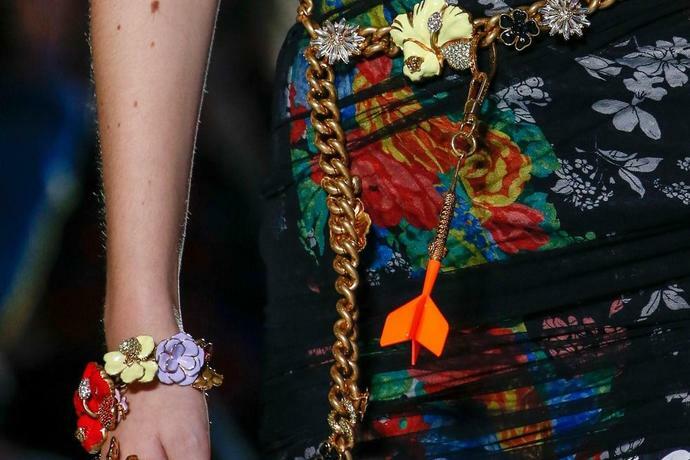 The world is catching on to Gucci's more-is-more approach to jewelry. 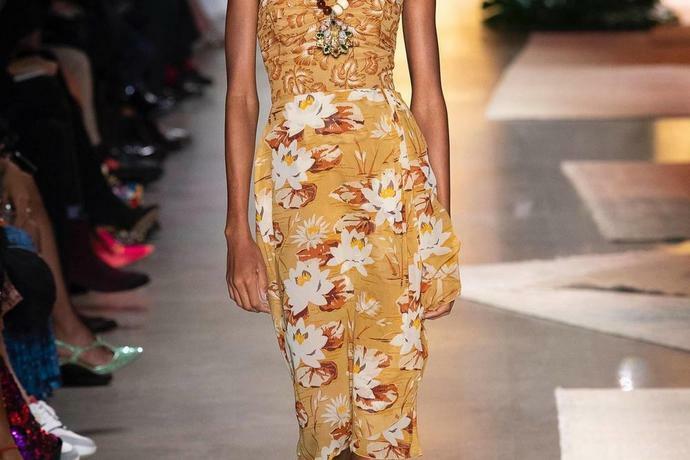 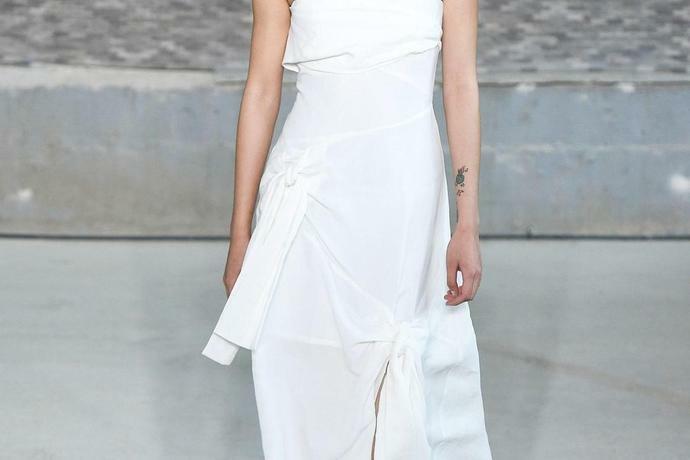 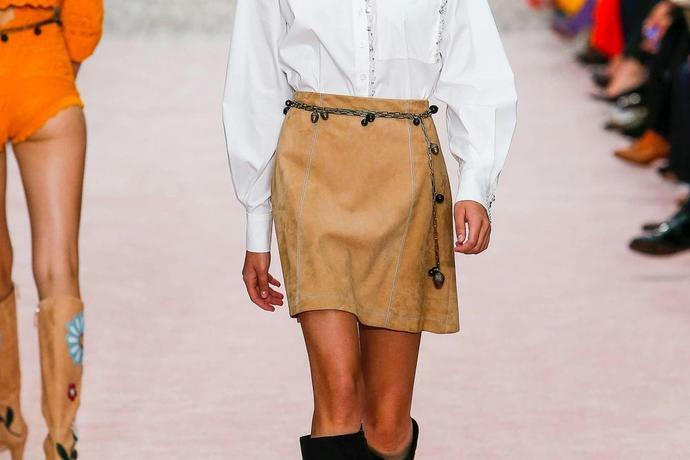 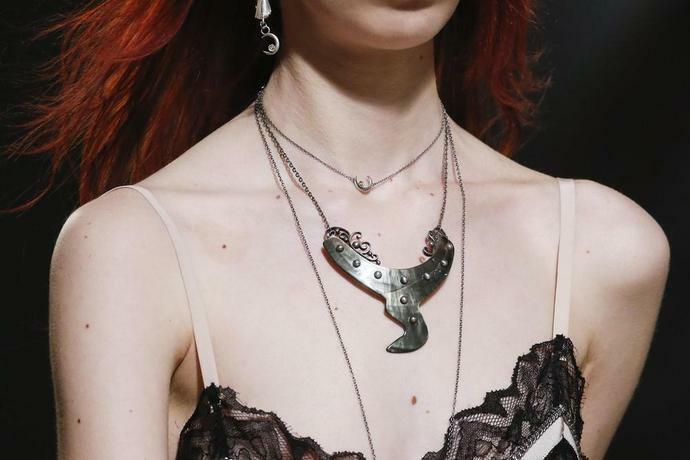 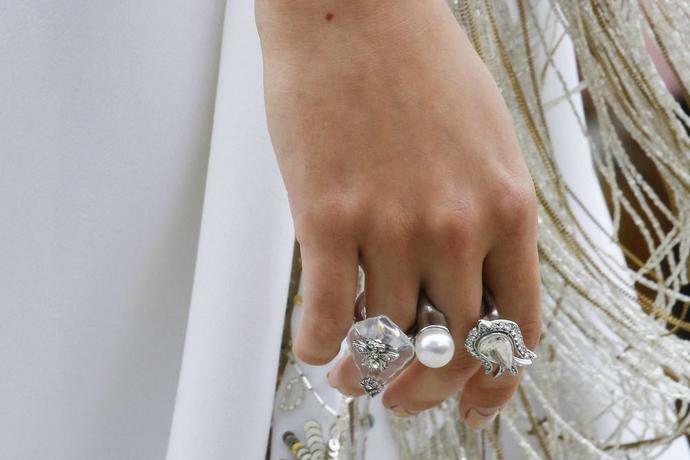 As often as not this season, models' fingers were laden with rings (toes, too, at Chloé), bracelets were stacked up arms (à la Nancy Cunard), and necklaces were layered with abandon. 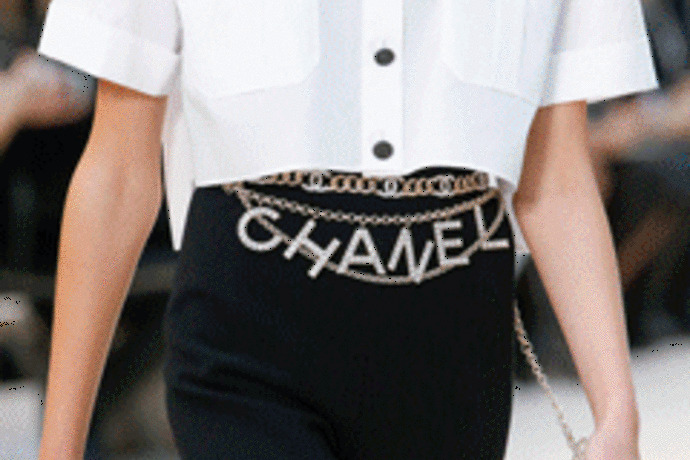 Surely Coco Chanel, who first popularized the mix of precious and paste, would have approved. 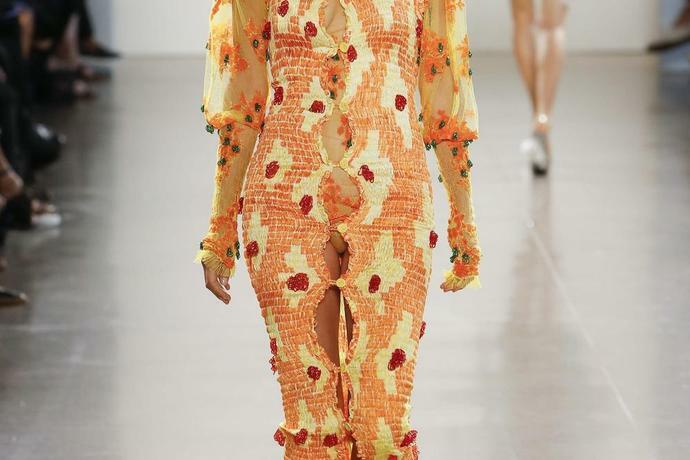 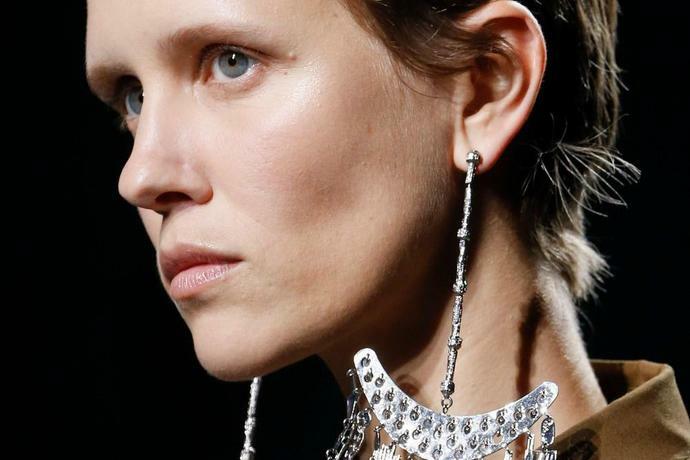 The big hats of recent seasons gave way to jeweled heads on the Spring 2019 catwalks. 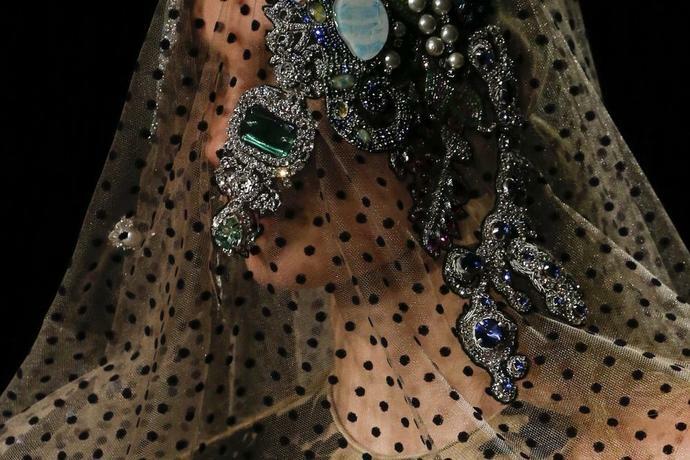 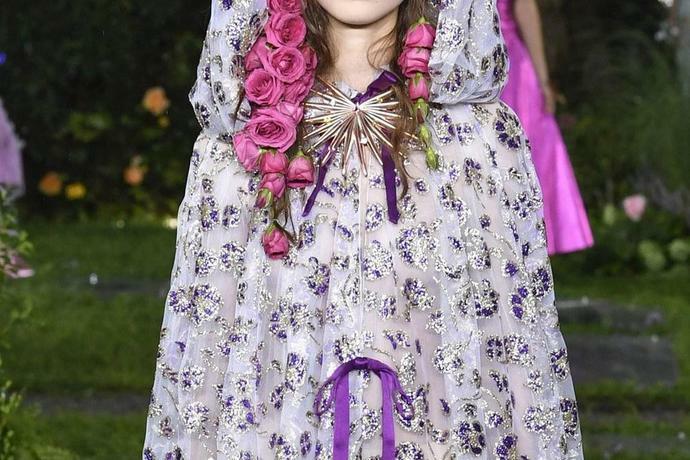 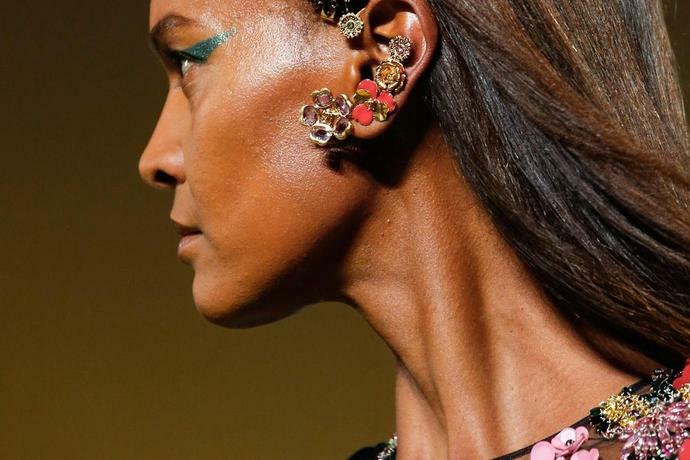 Yes, there were princess-worthy tiaras: Simone Rocha's were inspired by 16th-century Tang portraits, while the glitter waterfall topper that closed Gucci seems to disco-ify a Folies Bergère style. 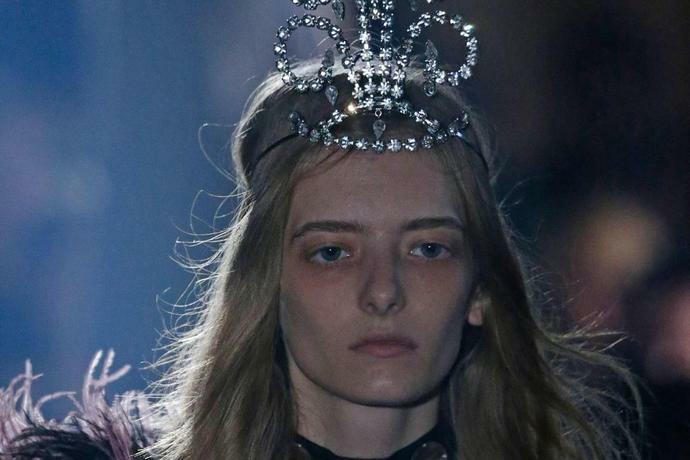 The vibe was darker at Alexander Wang where models' faces were obscured by headdresses one part adornment and one part armor. 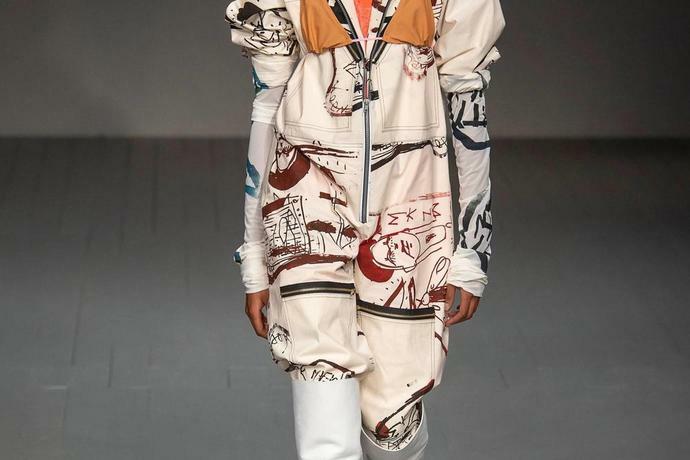 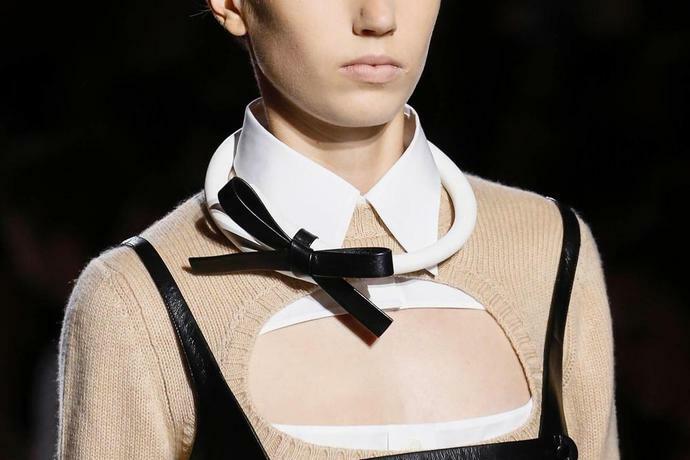 Trenchcoats weren't the only classic that got a makeover; the classic hoop was rethought, too. 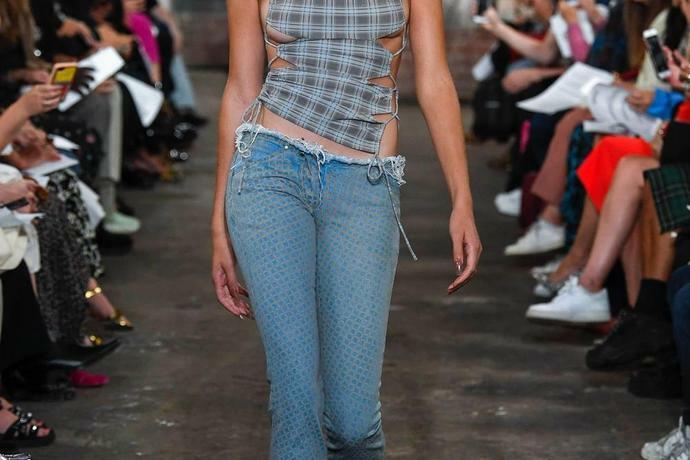 At Loewe and Matty Bovan hoops got a crafty redo and some filling in. 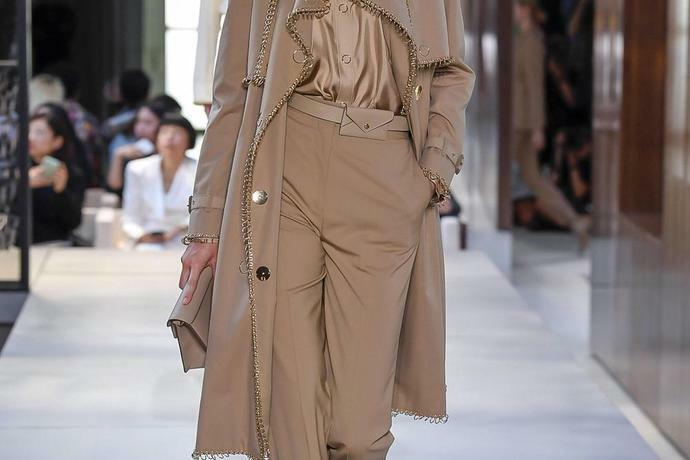 Valentino's Pierpaolo Piccioli took the opposite tack, eliminating the bottom of the round and thickening the hoop for heightened drama. 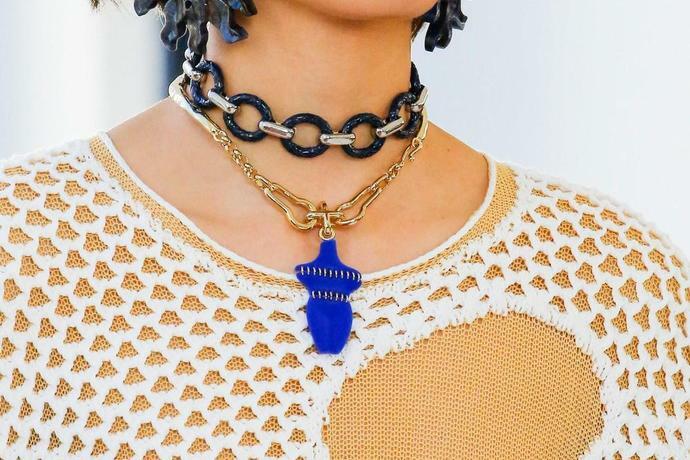 There's no circling around the choker for Spring 2019: It's a must-have. 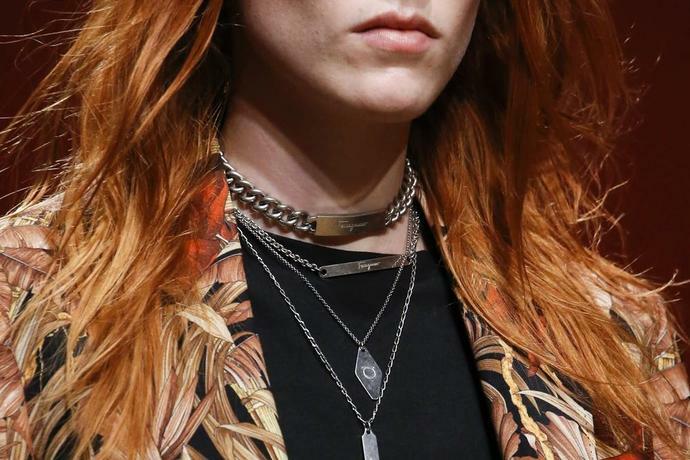 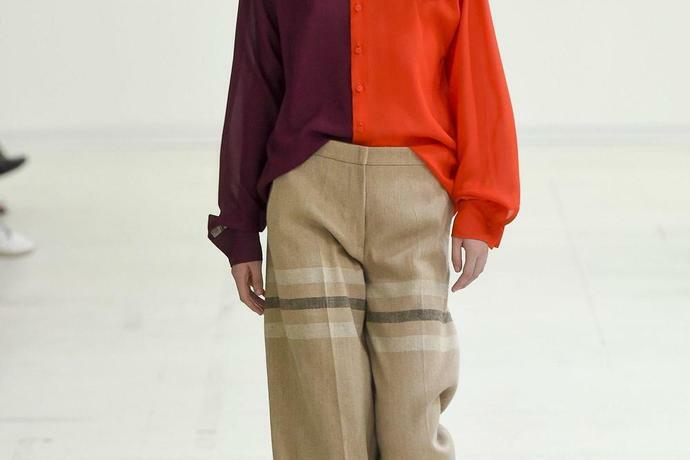 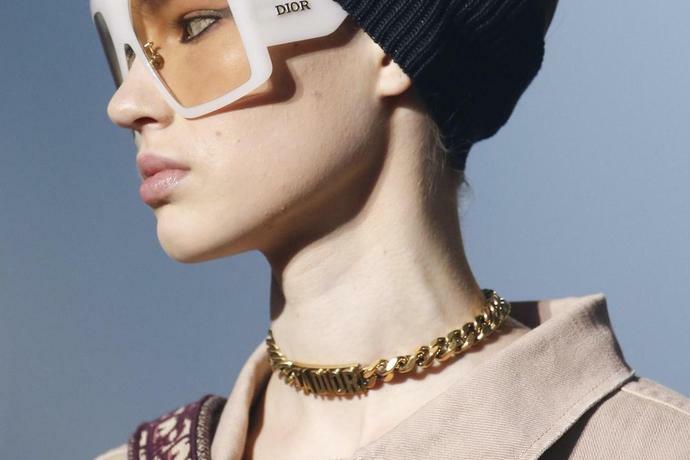 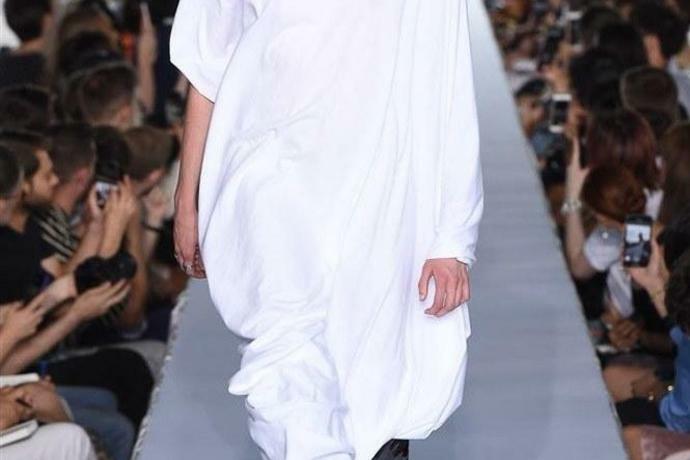 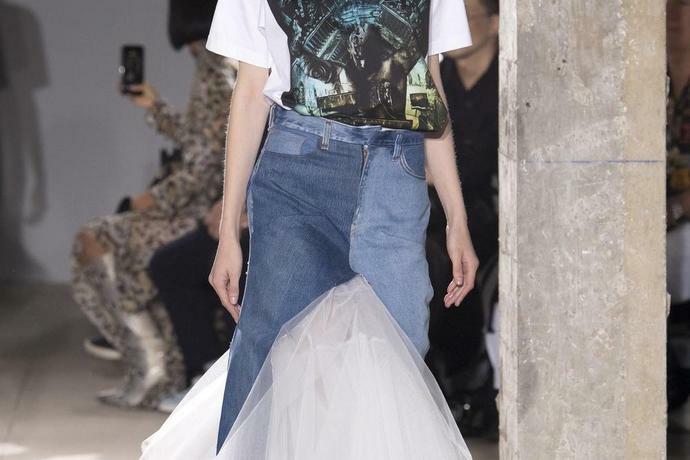 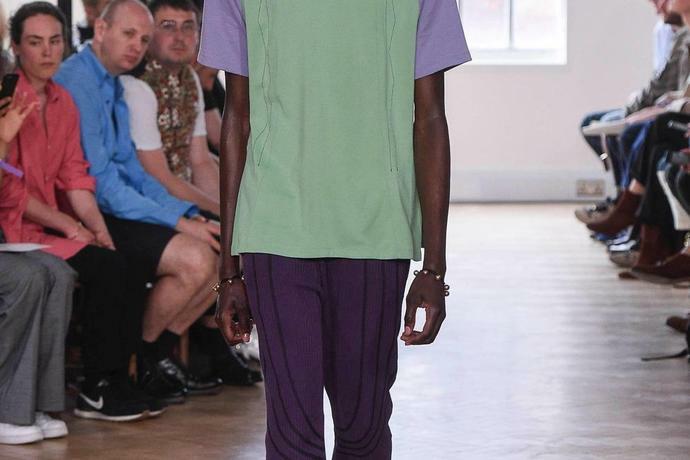 Vetements and Junya Watanabe revived the studded punk band, while chain models dominated at Marni, Hermès, Christian Dior, and Off-White, where a choker was worn over a shirt collar rather than against the skin. 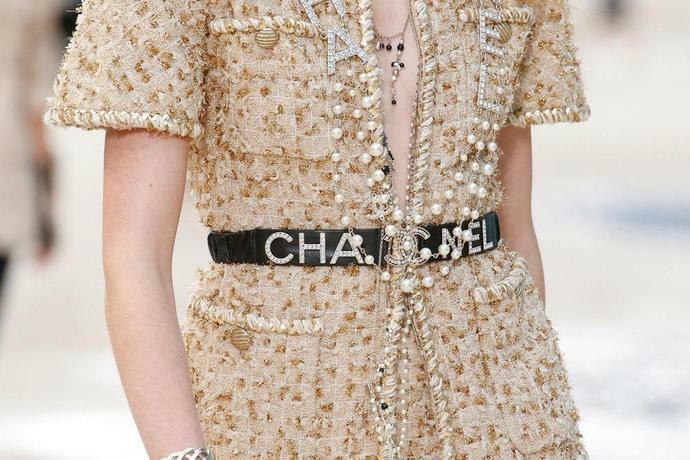 Ladylike dressing was a sub-theme of the Spring collections as evidenced by the return of pastels, pearls, and the charm belt. 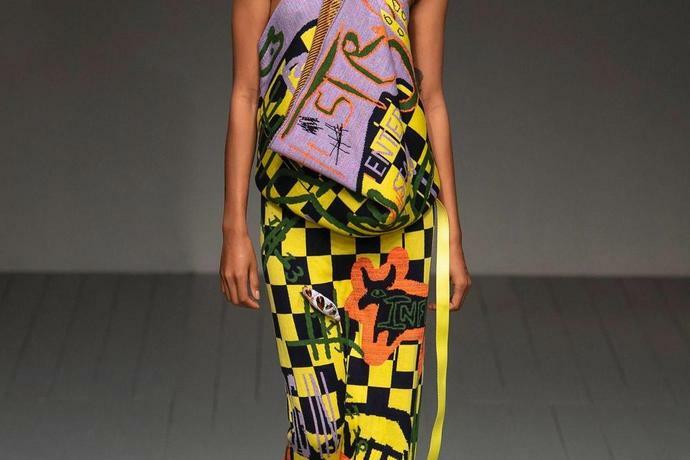 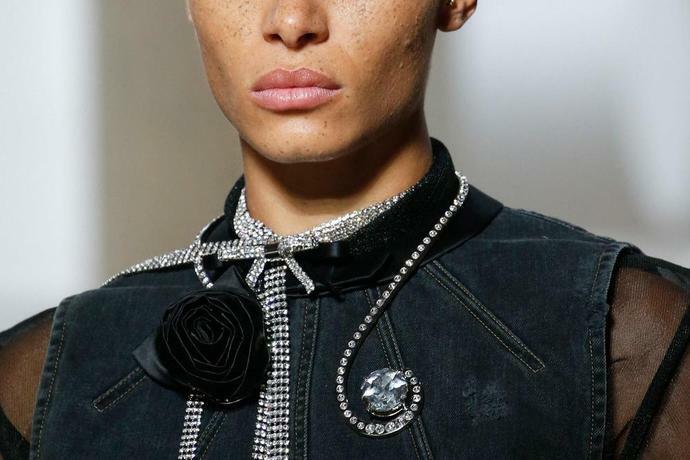 Throwback logo versions shared space with more eclectic styles, which included string-tied shells at Altuzarra and darts mixed with enameled flowers at Versace. 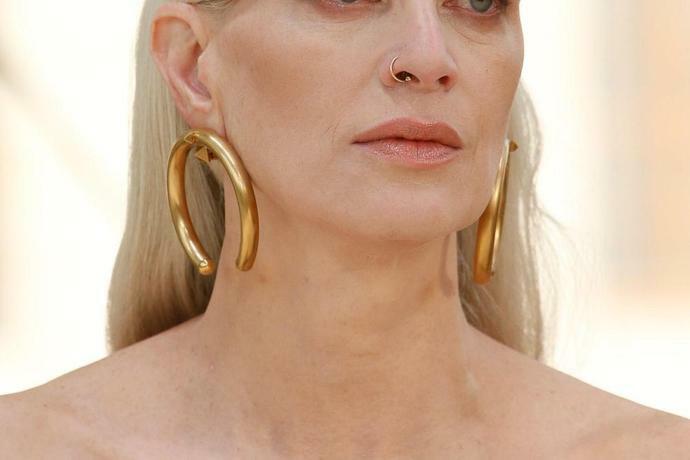 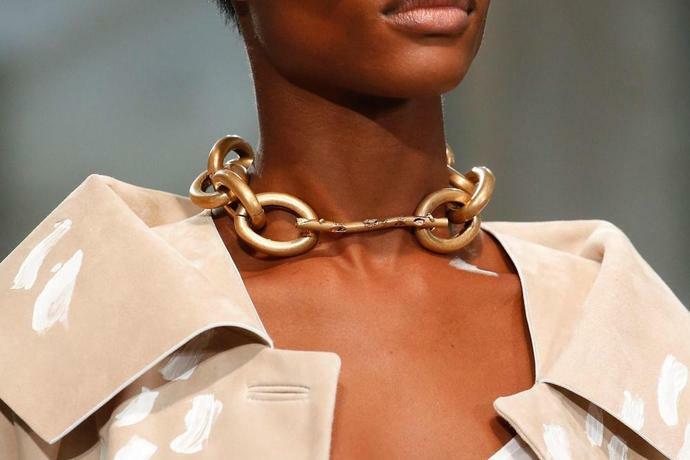 The pendant earring remains a jewelry box staple, but it's been maximized this season, and extended to graze sternums and even ribs. 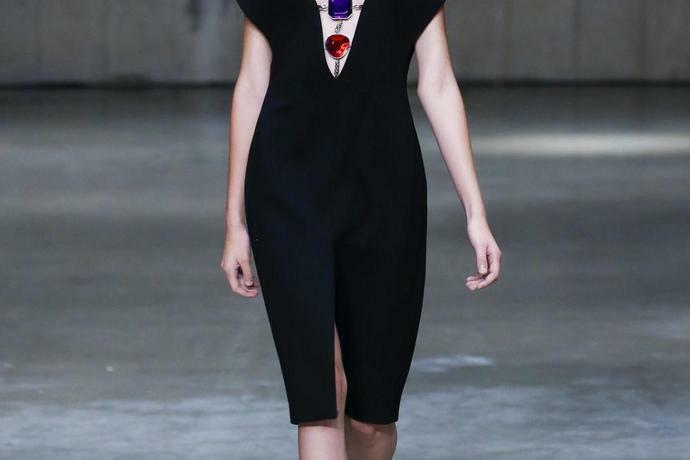 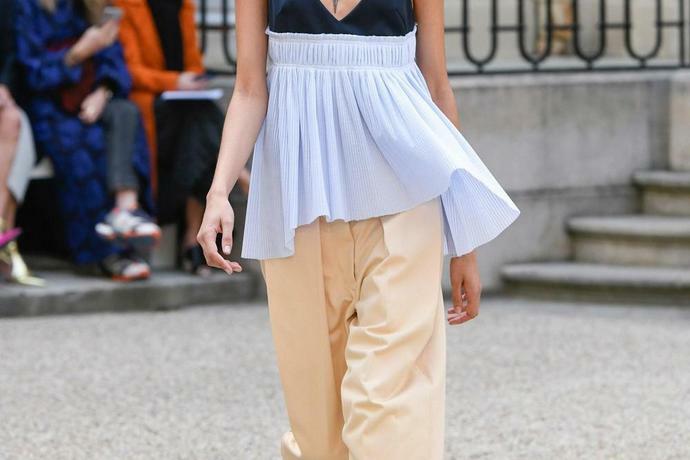 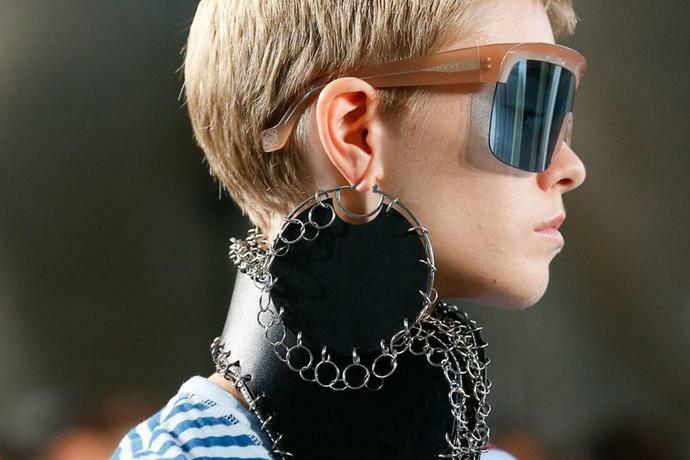 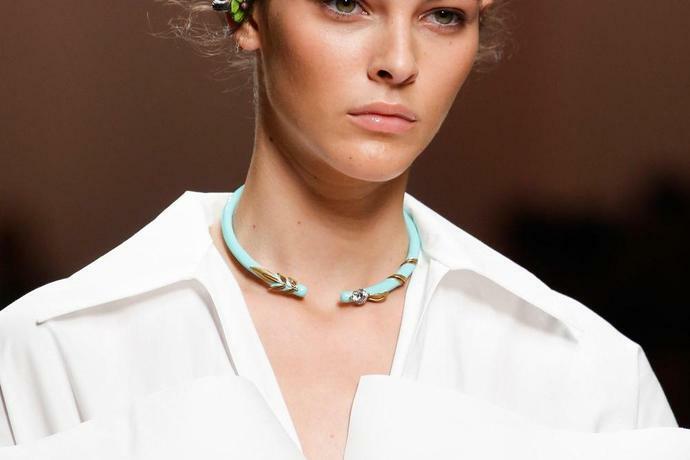 At Acne Studios, earrings were long enough to do double duty as necklaces. 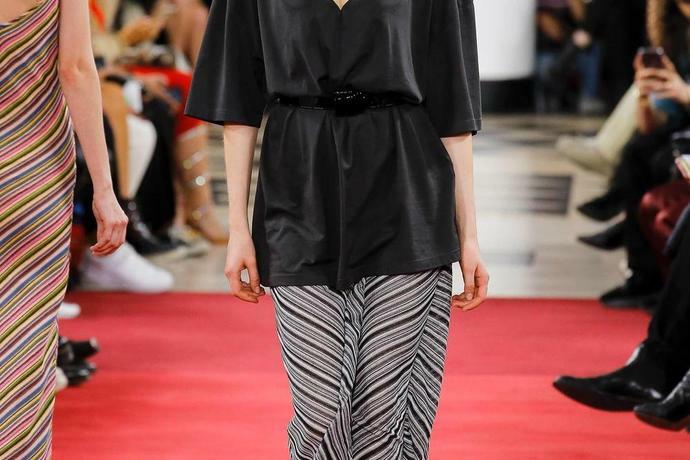 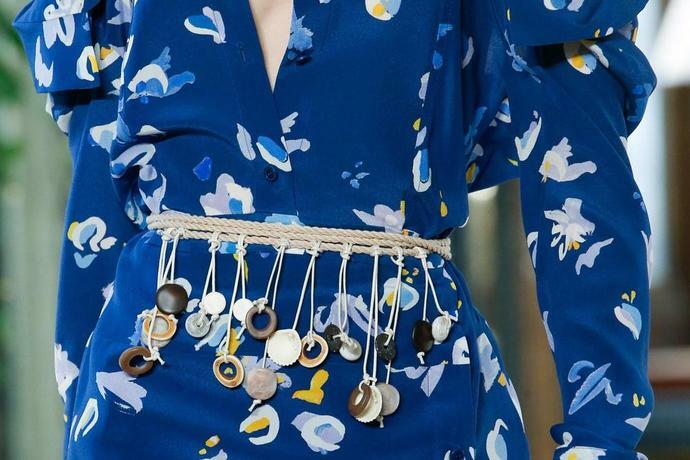 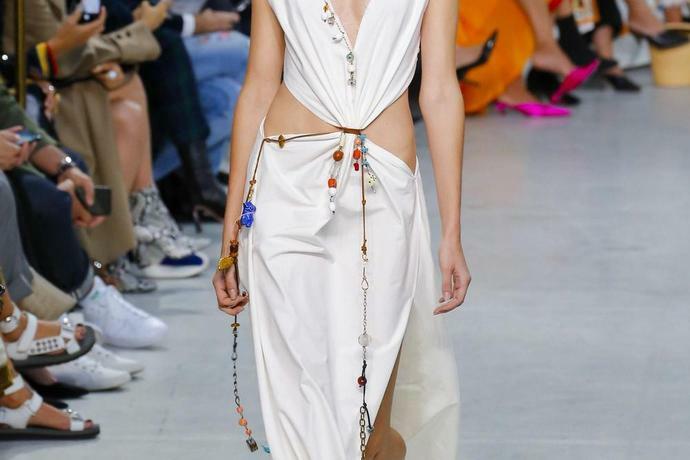 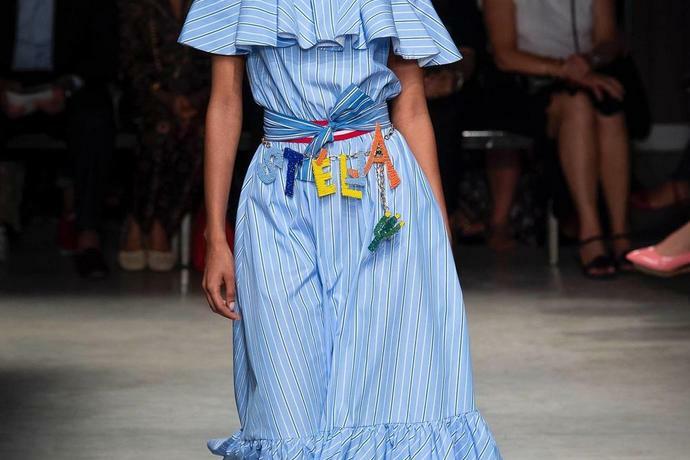 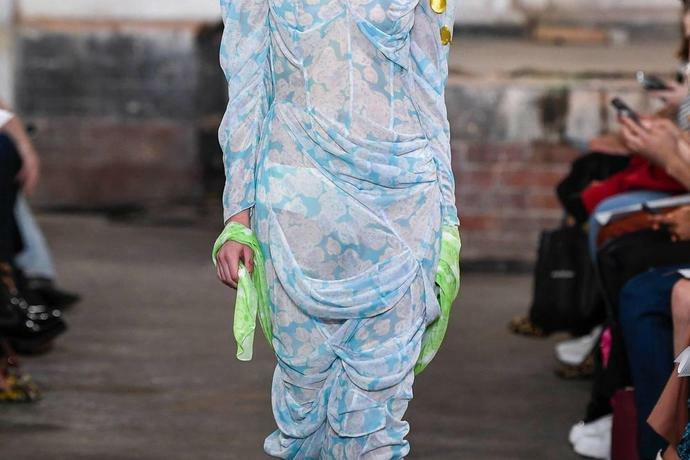 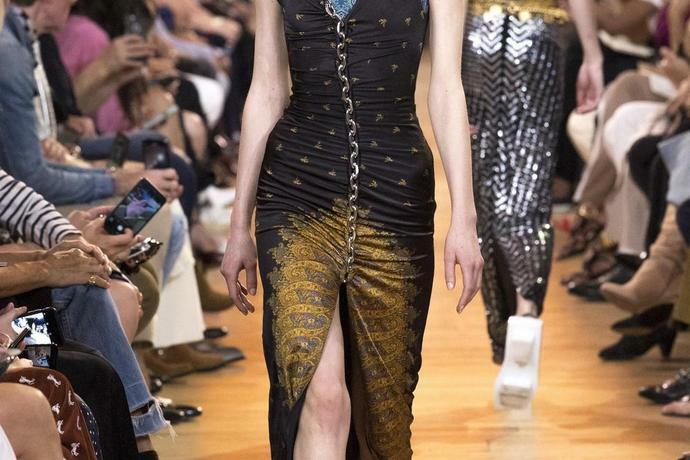 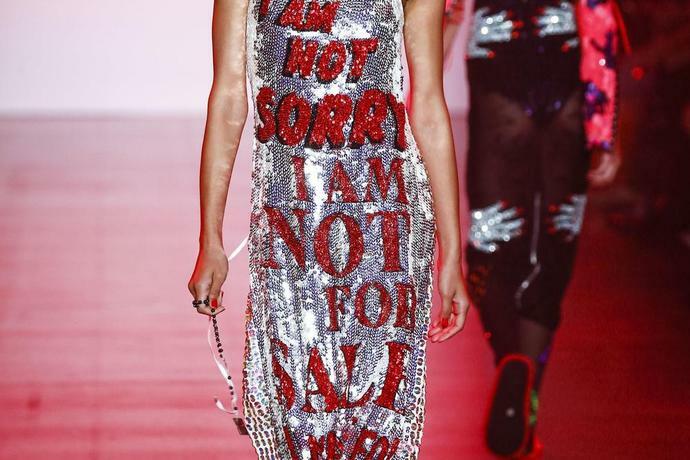 The biggest and most out-there jewelry trend of the Spring season incorporated jewelry into clothing, whether in a decorative manner (embellishment as precious as gems at Louis Vuitton) or structural (see the dresses suspended from chokers at Y/Project and Matty Bovan).